From Sept. 22 to 27, the International Federation for Journalists and Writers (FIJET) will hold its annual meeting in Moscow for the first time. More than 150 participants from 30 countries are expected to attend. The FIJET Congress is taking place with the support of the Department of National Policy, Inter-Regional Relations and Tourism of the city of Moscow. During the Congress, in addition to attending seminars on the latest trends in domestic and international tourism, attendees will have the chance to participate in unique sightseeing tours. Guests will visit the Moscow Kremlin and its unique architectural ensemble, tour the Cathedral of Christ the Savior and see the opening ceremony of the Circle of Light international multimedia festival. The tour program will give foreign journalists a special opportunity to discover the possibilities Moscow offers, see first-hand the city’s new tourist infrastructure and get at the chance to know the Russian capital, which many have experienced only through their colleagues. 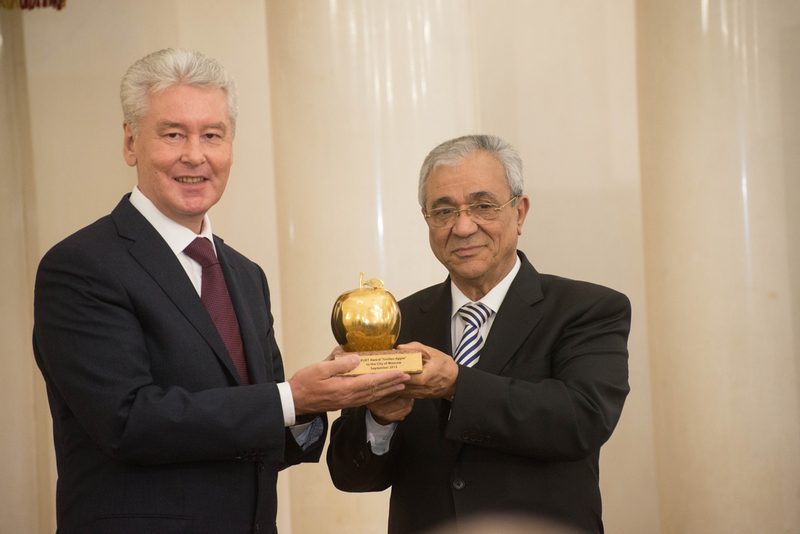 Almost a year ago, on Sept. 29, 2015, Moscow was awarded the FIJET Golden Apple award, which recognizes “superior efforts in promoting and raising the level of tourism.” The Golden Apple has been presented annually since 1970 to an organization, city, country, local destination, object or person for outstanding contribution to the promotion and development of tourism. An official FIJET delegation, including the organization’s president Tijani Haddad, visited Moscow last year to present the award. The delegation included famous writers and journalists from France, Bulgaria, Croatia, Belgium, Panama and Tunisia, among other countries. FIJET was established in 1954 in Paris. Soviet and, later Russian, journalists began participating in the organization starting in 1968. Today the group has more than 800 members representing 30 countries around the world.